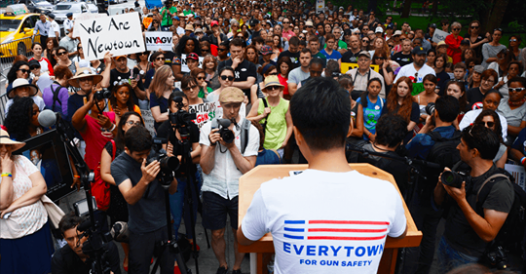 $2.5 Million in Grants For March for our Lives "Sibling Marches"
Everytown for Gun Safety is offering $2.5 million in grants to support March for our Lives "sibling marches" around the country. This is a generous, VERY simple grant application they hope to award before March 24 to support organic, local sibling marches in communities big and small around the country. The goal of the grant program is to ensure that sibling marches around the country have operational resources to organize these powerful events. A successful March will need a group of STUDENT LEADERS and partners as well as a nonprofit grantee organization. Scout Film Festival would be happy to represent any group of student march leaders as your nonprofit grantee organization. Please read the details of the grant below and, if you know of a young activist planning to march, DM me for a link to the application. I promise, Everytown for Gun Safety has made this accessible and undaunting. Scout Film Festival NEWS $2.5 Million in Grants For March for our Lives "Sibling Marches"
Located in Stowe, Vermont, The Scout Film Festival (Scout) is an annual international event that celebrates teenage and emerging filmmakers through short film.